Are you looking for HP Forest Guard Syllabus PDF? Then, go through this article. The latest Himachal Pradesh Forest Guard Syllabus along with the HP Forest Guard Exam Pattern 2017-18 has been provided here. Hence, the candidates who are going to appear for HP Forest Guard Bharti Exam 2017 can check and download HP Forest Guard Exam Syllabus & Test Pattern from this page. 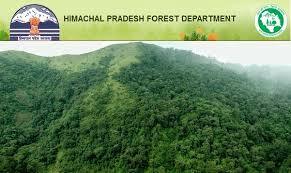 Himachal Pradesh Forest Department has invited online applications from all the candidates for Forest Guard Posts in various districts of Himachal Pradesh. According to Himachal Pradesh Forest Guard Notification 2017, there are overall 174 Vacancies. So, the individuals who are eagerly waiting for Himachal Pradesh Government Jobs can apply for this HP Forest Guard Vacancy 2017 before the last date. Before starting the exam preparation, the individuals must refer the Himachal Pradesh Forest Department Syllabus & HP Forest Guard Exam Pattern which is given below. Stay tuned to our website Recruitment Hunt to get more latest updates regarding all Government Jobs, Syllabus, Previous Year Papers, etc. The complete details regarding HP Forest Guard Syllabus & Exam Pattern have been updated on this page. Hence, the applicants of Himachal Pradesh Forest Department Recruitment 2017 can download HP Forest Guard Exam Pattern & Syllabus from the below sections. To qualify the HP Forest Guard Examination and score good marks, the candidates need study all the topics present in the Himachal Pradesh Forest Department Forest Guard Syllabus. Also, refer the Himachal Pradesh Forest Guard Exam Pattern to know the difficulty level and scheme of the HP Forest Guard Recruitment 2017 Exam. The Himachal Pradesh FG Written test consists of 85 objective type multiple choice questions for 85 marks i.e. one mark for each question. The questions are asked from General Knowledge, English, Aptitude, and Reasoning subjects. The overall time duration allowed for this exam is 75 Minutes. The complete subject wise syllabus for Himachal Pradesh Forest Guard Posts is provided below.